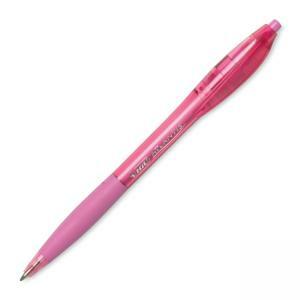 Atlantis Retractable Ballpoint Pens support breast cancer research. Bic will donate a portion of the proceeds from this product to the Susan G. Komen for the Cure. Ballpoint pen contains super-smooth ink and features a soft, contoured grip for comfort and control. Pen also offers a smooth click retraction.